A clean and sophisticated style for this Laguna lamp, from the famous Italian designer, Mateo Thun. The simple construction allows the beauty of the materials to shine through. The globe-diffuser is made of Venetian blown glass. The white milky hue gives way to the transparency on the top of the globe. 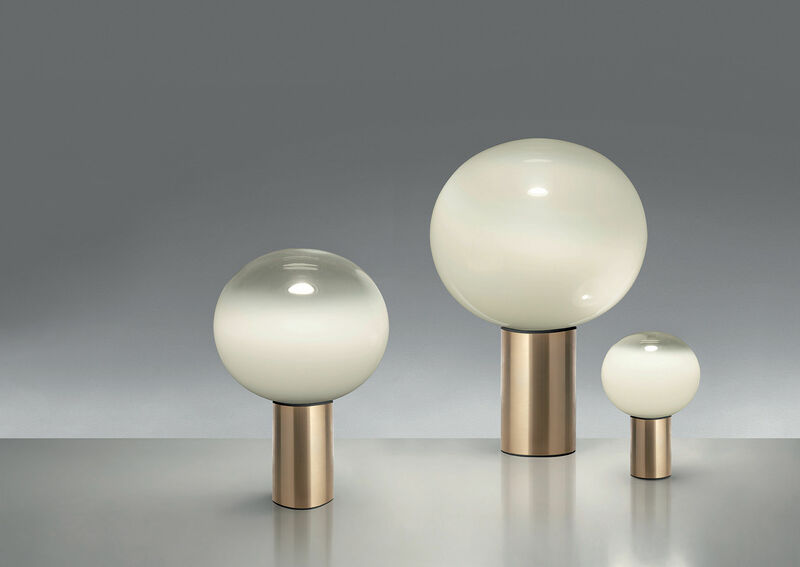 This gradation gives a gentle light directed downwards and a high-performing lighting, directed upwards. 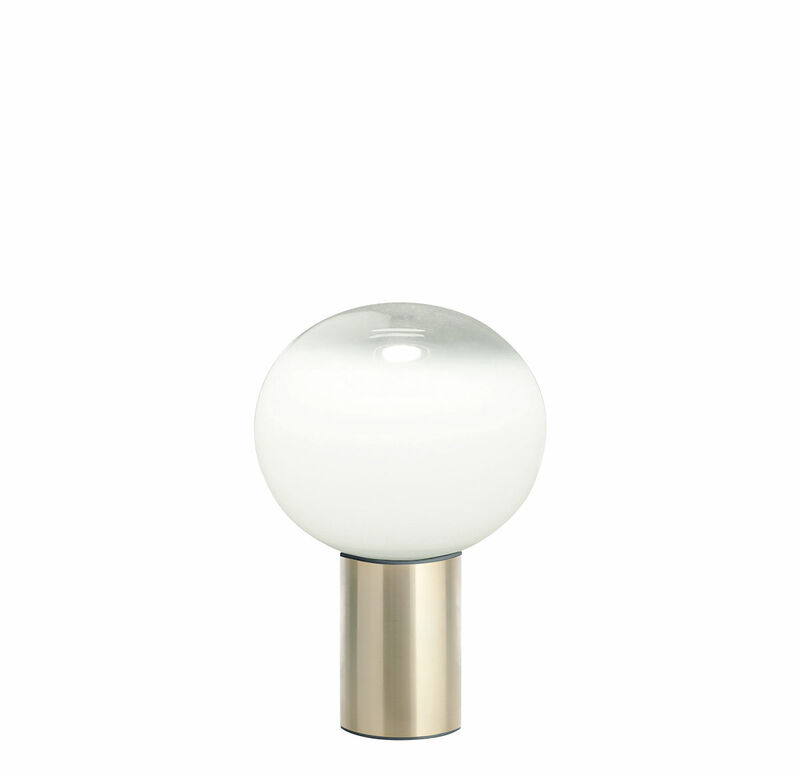 Endowed with curved and soft lines, the opal glass globe is inserted in an aluminium cylinder with a brass finish.